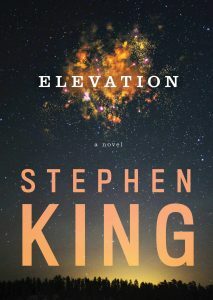 Elevation is an unusual Stephen King book, by multiple measures. First, it’s tiny. Barely over a hundred pages, and it’s a small factor book on top of that. I’m not saying he only writes doorstops, but this is just barely north of novella-sized, almost certainly shorter than, say, The Mist. Second, it’s… I started to say it’s overtly political, but that’s not true. To be overtly political in this climate, you have to go a lot farther, and I’m not sure you can do it in written fiction, period. His politics have been pretty clear to me for a number of years anyway (and thank goodness I don’t hate them, because man, that would be a blow), but as far as I can remember this is the first time I’ve seen them bleed into his work, and in such an obvious manner. Third, it’s definitely not horror (which okay is not super unusual for King, and especially lately, but it’s still what he’s known for). There is a central mystery which is well outside normal experience, but it is the least interesting part of the story. The meaty parts are about what it means to be a good neighbor, and about the rot at the heart of Smalltown, USA (both conscious and unconscious) and whether it can change, and about the things we leave behind. Anyway, I liked it. Not a bad way to spend a lunch break. I’ve never tried to be a good neighbor. Don’t misunderstand me, I want to not be a bad neighbor, and have definitely tried to do that. But I never really cared about who lived near me, much past junior high. Maybe if I were less suburban and more rural, I would feel differently. This entry was posted in Words and tagged fiction, mystery on November 1, 2018 by Chris. 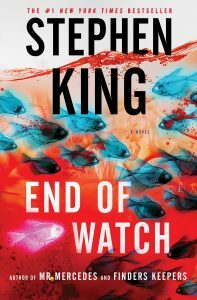 As you know, a new Stephen King book is out, which, cool and yay. To start with, yep, I liked The Outsider. I was engrossed from basically page two or three, even though it’s more dabbling in the crime and mystery genre, a la those three books that form the trilogy that he wrote over the past few summers. Which is fine as far as it goes, it’s not like those books failed to delve in the paranormal and existential horror that is his stock in trade. And even if it didn’t, I love him for his grasp of human psychology in the face of adversity probably more than the majority of the bare plots anyhow. The problem with the book is that I know exactly what it was, but to explain it would be just a massive spoiler of the central mystery, which I am willing to say went nowhere near the direction I expected when I was on that second or third page, all engrossed as I said to begin with. So, I guess comment spoiler? This entry was posted in Words and tagged horror, mystery on June 19, 2018 by Chris. Anyway, though, Blood Follows. This is a short book that gives an answer for why these characters were in the main sequence book: because Erikson is as fascinated by them as I am. We join our characters several years earlier and half a world away. Emancipor Reese has just lost another in a long string of employers to unfortunate death (this time at the hands of a murderer stalking the streets of his city for the past fortnight), and he needs to find a new job fast, lest his wife and probably non-biological children think even less of him than they already do. Also, there’s a reasonably cool police detective type trying to solve the murders. By and large, this is a story that you will care about if you care about the characters you already knew, and otherwise, you will not. In part this is because Erikson is a far worse mystery novelist than he is a fantasy and war novelist. In part, it’s because even to the extent that the mystery worked, too many characters emerge as major players in the final act, and it is seen through the eyes of someone who has just as little idea of what’s going on as the reader does. This can work in the first book of an epic series, if your reader trusts you and in the meantime the story is written masterfully. It works a lot less well when the story is barely a hundred pages long and the things the reader didn’t really understand revolved around characters he (by which I mean I) doesn’t really expect to encounter ever again. This isn’t to say I didn’t like it. It is to say that if I wasn’t already invested in the world and the main characters, I probably would not have, though. That is, I don’t really think he has an endgame in mind (nor that, even if he does, I’ll ever learn it). It’s more like he’s playing with legos to see what he can make. 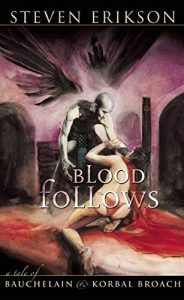 This entry was posted in Words and tagged fantasy, mystery, The Malazan Book of the Fallen on January 18, 2018 by Chris. I wonder if I’ve reviewed a Darren Aronofsky movie before? I know I’ve seen one, so… oh, hey, I could check! And, there it is. Black Swan. Which a) I liked quite a bit, and b) I successfully predicted Natalie Portman’s best actress Oscar for that one. Go me! That is an incredibly accurate description of the movie, that leaves aside the… I was going to say rising tension, but it’s more like ratcheting dread. A thing I thought during the first half of the movie that I still agree with now: Lawrence is basically portraying an introvert’s hell. The surreality grows on a logarithmic scale (which to be fair is certainly a similarity to Black Swan), and I think I have no way to predict who might or might not like this movie. Me: it was nothing like what I expected, and I think its writer/director is entirely too impressed with it, but all the same, I thought it had its charms. 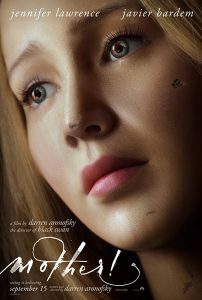 (For one thing, both Lawrence and Javier Bardem were solid leads, despite what I said earlier about acting awards, and Michelle Pfeiffer was nearly perfect.) Mary, on the other hand, loathed it. So, y’know. Watch at your own risk? Super annoying-to-me coda to this review: I saw the movie on Wednesday night, in a moderately exclusive Alamo Drafthouse preview showing. And then I’ve been so busy working that I couldn’t review it until post-release. Which is at least only today, instead of a week ago like usual. But: argh! Okay, inside baseball: yes, I realized I could check before I typed that faux realization, BUT, I realized it after I asked the question. So that counts, right? This entry was posted in Film and tagged Alamo Drafthouse, mystery, thriller on September 15, 2017 by Chris. The biggest problem with Firewatch is that I don’t really know what the genre is. Walking simulator is a really bland descriptor, indie is not a type of game, it’s a type of studio, and it felt a lot less interactive fictiony than other games I’ve used that tag on before. So, what kind of game was this? One kind of game it was is “pretty great”. After a series of unfortunate life events, this guy Henry takes a job with the 1980s Wyoming forestry service on firewatch. Which, if not self-explanatory, is when you sit in a tower all summer looking for fires before they become uncontrollable. And over the course of the summer, a story unfolds! The story is fine, too, but mostly what I loved was the haunting atmosphere. You’re wandering around the woods, no company, virtually no human contact, just the voice on the other end of the radio that is your supervisor between you and utter isolation. Which is I think what Henry was going for, but it gets really hard to take after a while. I am an introvert, in that I want to spend only a small amount of time interacting with people; but I guess I’m a soft introvert in that it comforts me to know that if I needed a person, it would be really easy to find one. I’m pretty sure a summer spent not seeing another person’s face and only hearing another person’s voice at their whim would leave me pretty dang bonkers. Or maybe it was only haunting to me, because, see above? Either way, there was nothing I didn’t enjoy, even down to the emotional discomfort. The one bummer was trying to figure out the controls. There was Steam controller support, but not in the sense that the game’s instructions matched them; purely keyboard driven, alas. Having a gated ecosystem is the better way to console in terms of support, but significantly limiting in terms of what games are available. So, definitely worth the trade-off! But still. This entry was posted in Software and tagged mystery, Steam Machine, walking simulator on April 10, 2017 by Chris. 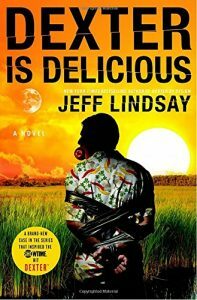 Apparently, the last Dexter book I read was over five years ago, when Dexter Is Delicious had only been out for a year. I could have caught up, belike! In the nonce, the series has concluded entirely, which is kind of weird for a popular mystery novel character. Usually those get milked for decades. I have a lot of jumbled, unrelated things to talk about. Like: the show. I have seen all of the show, and I have not read all of the books. But I think that the show is better than any of the books at its very best, while being not nearly as good as the books are on average. So, if you liked the show for a while, an only seven book series is probably a good investment. And: Dexter’s narration. I can’t tell if I was so dazzled by the show that I missed it in earlier books, or if it subtly changed over time. But I’ve read lots of versions of unreliable narrator, and usually they’re lying to the reader to protect something, maybe a secret, maybe some part of themselves they don’t think belongs to you? But this is the only one I can think of that is just self-deluded, and certainly the only one where that fact is played primarily for comedic effect. It’s not that Dexter is dumb; he’s very successful, both professionally and in his personal life, and he has to be both smart and careful to achieve either. But he’s also not a god walking amongst men, and the only thing funnier than seeing the mistaken belief in action is seeing when he, very occasionally, has the belief shaken by outside events. Lastly: the series’ end. I haven’t said much about the book itself. It’s about what you’d think from the title plus cover: Dexter vs. cannibal. And there are twists along the way, like the infant daughter that he wants to be a better man for, and other expansions of his extended family besides. One of those twists has longer term implications, though. The thing that’s weird is, as a standalone book, it felt like a combination of an unwanted and unnecessary plot development and a cheap gimmick; but as the fifth book of only seven total, it instead feels like an indication of the end’s beginning. I of course have no idea if this was true when the book was written, nor if it will turn out to be true when I finish the series. This is why I hate meta-spoilers, though; it’s basically impossible to avoid them. This entry was posted in Words and tagged mystery on January 8, 2017 by Chris. There was a time when I claimed that Finders Keepers was not a sequel to Mr. Mercedes. Likewise, I can now claim that End of Watch is not a sequel to Finders Keepers. Sure, they’re in the same continuity and with mostly the same characters, but except for acknowledging that those things happened in the past: not a sequel. It was good, and I liked it. I think the main reason I liked it less is because after two books of solid mystery detectivey stuff, throwing in a supernatural element just did not seem to belong anymore. If you read this as a standalone book, which it would be maybe barely possible to do, you would not have this problem. All the same, I had it. So, yeah. That was definitely a book I liked reading, and I hope King keeps writing new books like usual. The fact that they cannot all be the best in no way detracts, y’know? This entry was posted in Words and tagged mystery, science fiction, The Bill Hodges Trilogy on July 27, 2016 by Chris. Stephen King books seem to be coming out faster than ever these days! It’s been two a year for… well, a while anyway. But the thing is, mysteries are shorter, so maybe that’s why? Like, these are his “chill out and procrastinate” novels. Of course, now I’m making Finders Keepers sound lazy, which it wasn’t. I think I remember reading that Mr. Mercedes was the first book of a trilogy. I could be wrong, but if so, it’s because it’s the first book of a series instead. 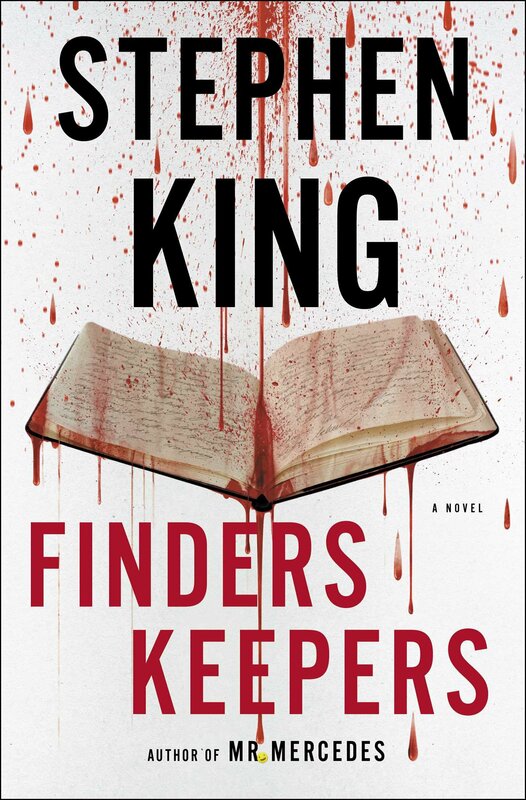 Honestly, if Finders Keepers has a failing, it’s that it can’t make up its mind whether it’s a sequel or not. Two-thirds of the story is a game of cat and mouse between a murderer and a high school kid, but what it’s really about is literature and obsession and maybe a Salinger/Updike hybrid? And it’s pretty good! The other third is a sequel to Mr. Mercedes, and except for where the two stories mash up against each other, that third is a “Where are they now?” slice of life, which was fine but ultimately unnecessary. Except for the part where there’s a guaranteed additional sequel that is the actual sequel to the first book, and which I very much want to read. But this book was good too. I just kind of wish it had gotten the chance to be completely its own thing. This entry was posted in Words and tagged mystery, The Bill Hodges Trilogy on June 25, 2015 by Chris. Back while I was only reading comics because the site was down, I remembered that a new Stephen King book was being published in November. But when I went to buy it, I learned that a different, slightly less new one had been published over the summer, completely escaping my knowledge. So, like, oops? 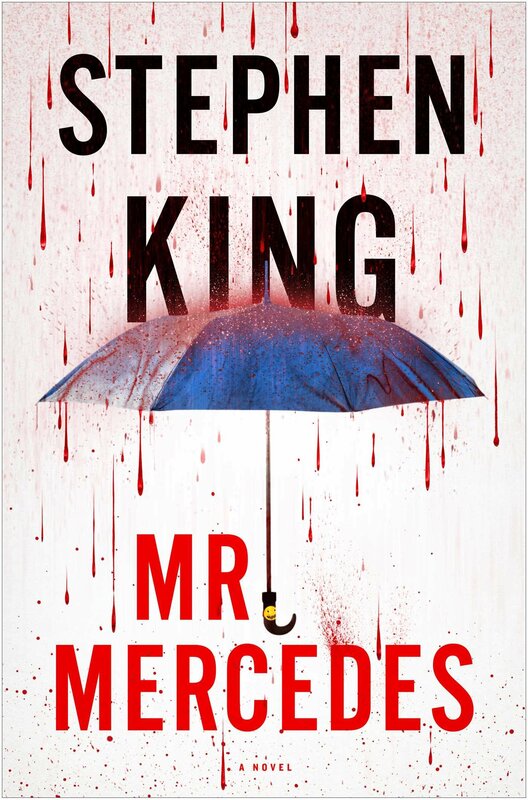 Mr. Mercedes is basically a crime novel. It portrays the game of cat and mouse between a retired police detective and a locally infamous mass murderer who was never caught. Obviously I cannot say more about it than that, because the rest is deep into spoilers territory. 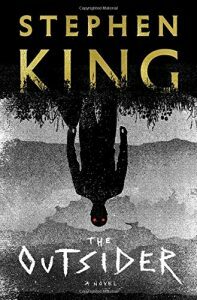 But King has not lost the voice that keeps me coming back year after year for more, and I’ve always said it doesn’t have to be horror to make it work. I started to add dark fantasy or dark science fiction, but then it occurred to me that mysteries are dark by their nature, so maybe it does have to be dark. Maybe it doesn’t and just always is anyway? It’s not for me to recommend the man fight against a formula that obviously works. This is the kind of thing that very few people would judge me for. Well, adult mysteries are, anyway. Encyclopedia Brown and (usually) the Three Investigators are allowed to be less dark, because, kidbooks. Oh, man. Why aren’t those on Kindle? Or are they? I’m torn between a Wikipedia / Amazon investigation and the urge to run the other way and keep my memories delicate and precious. This entry was posted in Words and tagged mystery, The Bill Hodges Trilogy on January 8, 2015 by Chris. Honestly? I kinda got nothing here. 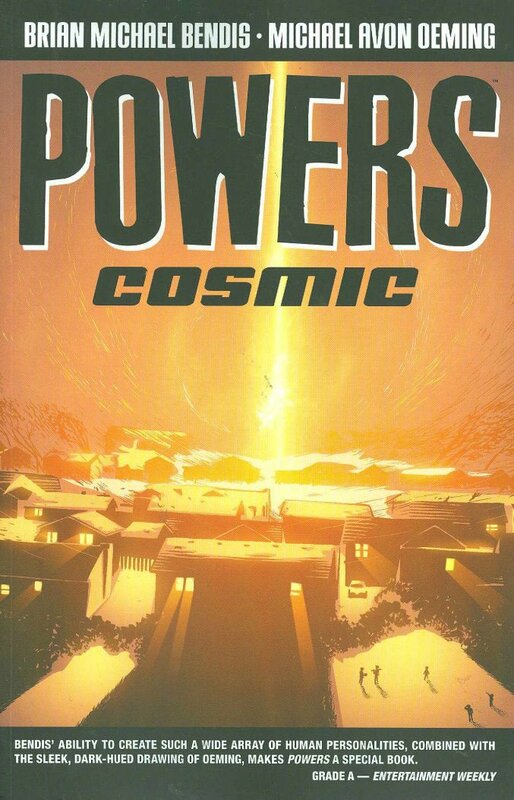 This Powers collection has retroactively justified my recent acceptance of Captain Marvel into my personal Marvel comics canon, since it is about the death of Earth’s Cosmic guardian and what that means for the planet’s future. (Because, you see, that’s what Kree-born warrior Mar-Vell’s story has eventually metamorphosed into.) But otherwise, it is by and large standard Powers fare, with murders to solve, heroism to be performed, and major plot-points to be incrementally moved forward. If I could talk about said plot-points without big spoilers for previous parts of the series, maybe I’d have more to say. Because there’s definitely a building theme over the course of the series, one that I could not have predicted before being an unregistered superhero got outlawed and which now seems unavoidable in retrospect. But, yeah, major character and story arc spoilers lie in that direction. Next book, when things come to what I assume is an inevitable head, I’ll just have to duck behind the spoiler cut and talk about it anyway, but since both character arcs were in set-up mode this time, I can safely wait one more time. Meanwhile, a structural discussion. Every issue in this collection started with a coffee-house-looking open mic night, with a different random character from somewhere in The City(tm) doing a different not-quite-comedic stand-up routine. It’s not that they were bad, by and large. It’s that they felt like they were supposed to be making some kind of thematic resonance, either within the current plot or maybe even issue by issue. And, I flat out did not get it. 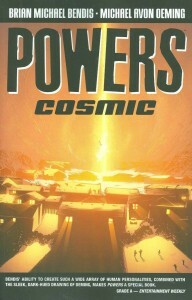 I have no point here, I just wonder if that’s on me or on Bendis. Notably, the one I already alluded to. This entry was posted in Words and tagged graphic novel, mystery, superheroes on July 16, 2014 by Chris.